Edgard Verese was a modern French composer who spent most of his life in America. He is known as The Father of Electronic Music. This week you will learn about this strange man, whose personality might remind you of the more “eclectic” artists we have studied, such as Warhol or Dali. Edgard Victor Achille Charles Varèse was born in Paris on December 22, 1883. When he was only a few weeks old, he was sent to be raised by his great-uncle and other relations in the small town of Le Villars in the Burgundy region of France. There he developed a very strong attachment to his maternal grandfather, Claude Cortot. His affection for his grandfather outshone anything he felt for his own parents. 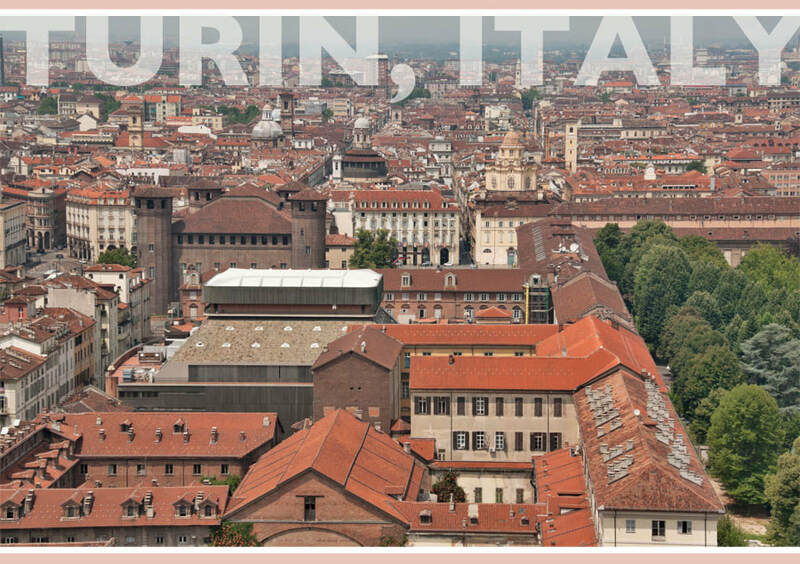 When he was ten, his parents reclaimed him and relocated to Italy. There he had his first musical lessons and soon composed his first opera, “Martin Pas”, which has since been lost.. However, his father, an engineer himself, didn’t approve of Edgard’s interest in music. He sent the boy to the Polytechnic University of Turin to earn a degree in engineering. This did not make Edgard very happy, but he later used what he had learned in engineering school to help him compose his music. When you go to the orchestra, be sure to get there early, and not just because that is proper concert etiquette. If you get there a little early, you get to hear the orchestra musicians tuning up their instruments. You get to hear them all playing at the same time, but different songs. To some, it may sound like a huge mess of noisey chaos, but to others, they can hear musical chords and harmonies that magically form. This must have been how Varese felt about the tuning up portion of the Orchestra because he wrote an entire song about it. Today’s Listening Example, “Tuning Up” was one of Varese’s uncompleted works that were found among his things after his death. This one was finished by another composer in 1998 and today we will hear it played by the Chicago Youth Symphony Orchestra. 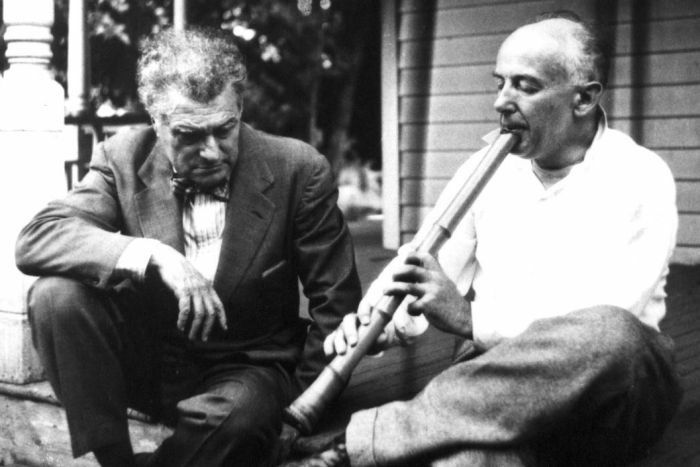 Edgard Varese wanted people to think of music as “organized sound.” He had very definite ideas of how he believed music should be defined. He didn’t want to be bound to “rules” of musical composition, even though he respected the works of those who did. Edgard stayed in engineering school until his mother passed away in 1900. Three years after her death, he moved to Paris to begin his musical education and career. While in Paris, Edgard studied music, and how to write music, under many teachers and met many famous composers who influenced the way he wrote his music. In fact, one other Musician of the week was one such composer. 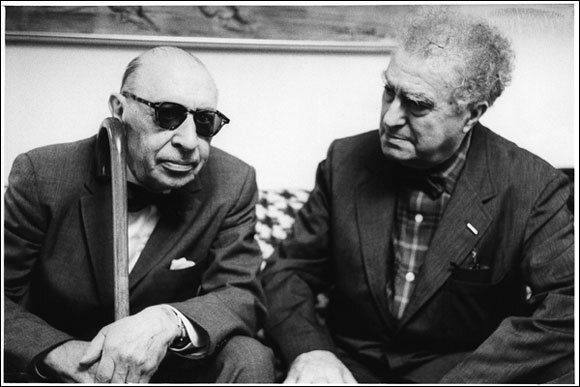 Claude Debussy and Edgard Varese met at the Paris Conservatory. Debussy became a major influence in Varese’s career. Debussy’s music was very different from other composers of his day, just like Varese. In 1931, Varese wrote the first important work for a percussion ensemble. An ensemble is a small group of players. After years of listening mostly to full orchestras, or groups of strings and woodwinds, twentieth-century composers were interested in exploring the special colors of the percussion group and occasionally wrote entire pieces to show it off. Our listening example today is called "Ionisation". Ionisation is written for thirteen percussionists. People were not used to hearing music by just the percussion section. One music critic described the performance as “a sock in the jaw”! The title refers to the ionization of molecules. In 1918, Varese made his debut as a conductor in America. This was the beginning of a whole new life for Varese. 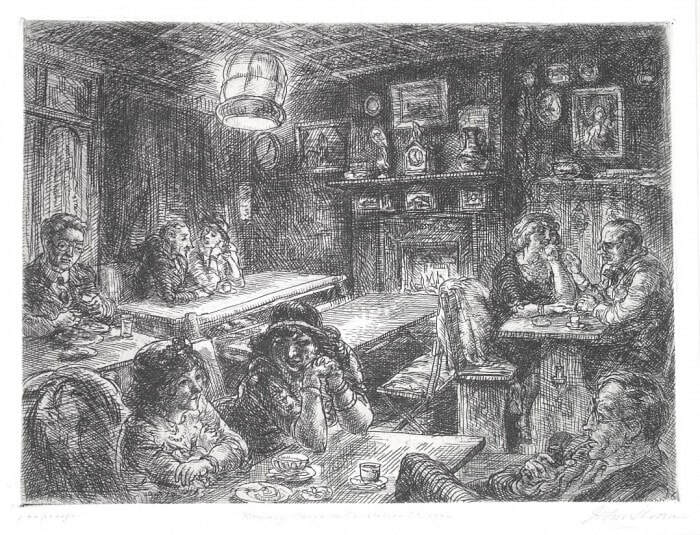 He spent many hours in the famous “Romany Marie’s Cafe” in Greenwich Village. There, he met with other creative people who liked to share their ideas and inspire each other. Virtually all the works he had written in Europe were either lost or destroyed in a Berlin warehouse fire, so in the U.S. he was starting again from scratch. He spent hours at the cafe meeting new composers and telling them all about his ideas for new electronic instruments he would use for his newest compositions. Today's Listening Example, “Amériques”, is an orchestral composition that is meant to be played by a very large orchestra with additional percussion (an extra eleven performers! )and included sirens. 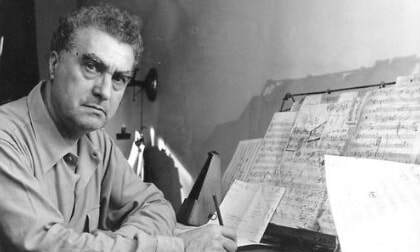 It was the first work Varèse composed after he moved to the United States which made “Amériques” his opus one. (An opus is just a fancy name for a really big composition that took a lot of time and effort to compose). 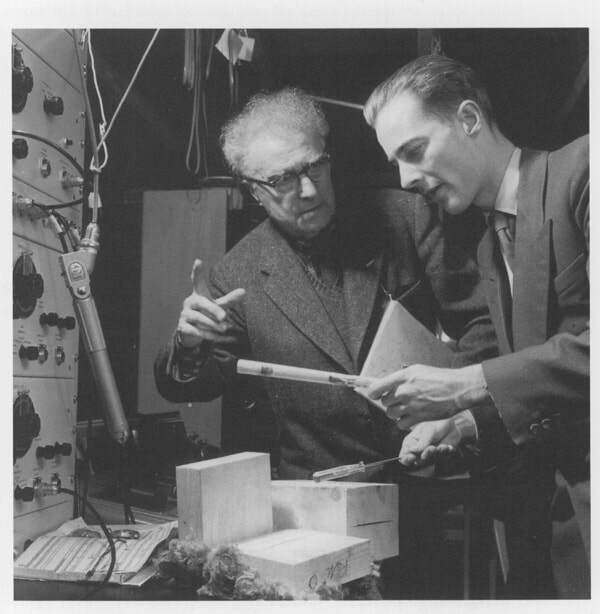 ​As we learned earlier, Edgard Varese studied engineering in his younger years. He took that knowledge and applied it to his idea of how music should be composed. Varese said that it was through science that he began to see music in his own way. He saw it as spatial. Like molecules, and how they move….that is how he saw music and sound. Varese’s dream was to create music using electronic instruments. He dreamed up these instruments and did drawings of them, much like Da Vinci did for his imaginings and inventions. Some would say that Varese spent his whole life waiting for technology to catch up to him. ​Between 1918 and 1936, Varése began working on music that broke from European influences. In 1923, his work “Hyperprism”, caused a riot in the audience. Half of the audience stormed out, the other stayed and asked him to play it again. Varese’s music was either loved or hated. People had very strong emotions about it. Either way, Varese inspired many composers to break free from the traditional ways of composing music. In his search for new sounds Varese incorporated new musical instruments. Today’s Listening Example, “Hyperprism” made the use of sleigh bells, cymbals, crash cymbals, rattles, triangle, anvil, Chinese blocks, tam-tam, Indian drums, snare drum, bass drum, tambourine, and a lion’s roar (a tub with a hole in the bottom through which the player pulled a rope). 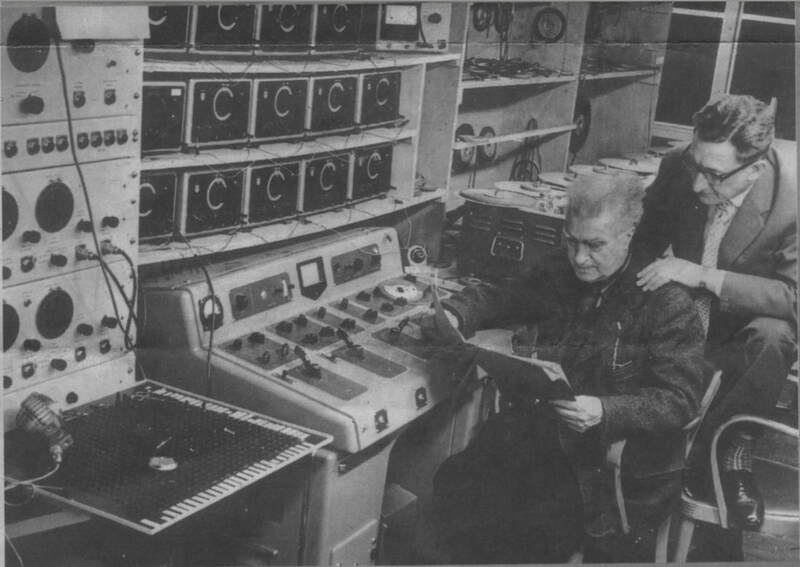 On several occasions, Varèse would make predictions on the specific ways in which technology would change music in the future. In 1936, he predicted musical machines that would be able to perform music as soon as a composer inputs his score. In 1939, he expanded on this concept, declaring that with this machine "anyone will be able to press a button to release music exactly as the composer wrote it—exactly like opening up a book. Varese was really sad that he could not produce music the way he wanted to. He couldn’t get the instruments to make the sounds he heard in his head. He eventually gave up. He faded into the background, never to be heard from again--UNTIL---Suddenly, at the age of 71, technology caught up with Varese and his creativity. After discovering all the new technology, Varese composed today’s Listening Example, “Deserts”, which is a collage of taped sounds. It was described as a unique, frightening masterpiece of the atomic age. At the premiere, once again the audience was hostile. One critic wanted to send Varése to the electric chair. Still, Deserts was the first important work of electronic music, and Varése was recognized as a significant force in music. Finally, Varése found the world that he had wanted to live in all of his life. His views on sound and music were sought after, and he had new tools with which to explore.